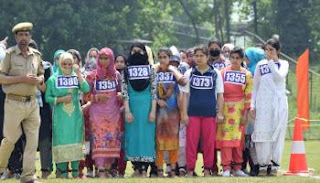 A total of 66000 youths across Jammu and Kashmir have applied for 700 vacant posts of Sub Inspectors (SIs) in J&K Police for which recruitment began from Srinagar. IGP Headquarters, PHQ, AK Choudhary told reporters at Bakshi Station that approximately 66000 candidates have applied for the posts of Sub-Inspectors (SIs) from the whole of Jammu and Kashmir. The officials hope that the recruitment will tackle stone-pelting in Kashmir.